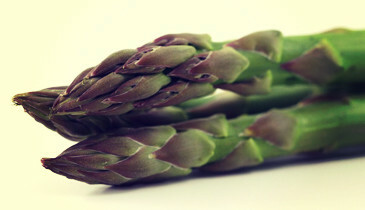 Asparagus has become a popular vegetable in recent years, it is quite a trendy vegetable served in all sorts of dishes. Not only is it tasty but it is also pretty easy to grow too, so if it is one of your favourite vegetables why not give growing it a go? Asparagus isn’t too fussy, it’s only main requirement is that it needs well drained soil. It will thrive in a vegetable plot or a raised bed and can grow for years and years so choose a nice sunny and slightly sheltered spot and prepare your soil well. Remove any weeds and mix in some organic matter before planting such as well rotted manure or organic compost which will help give the soil plenty of nutrients and also help with the soils drainage. Asparagus will grow in most soil types, but prefers a slightly alkaline pH so if your soil is very acidic it is a good idea to add some lime to your soil too. Asparagus will grow in most soil types, but prefers a slightly alkaline pH so if your soil is very acidic it is a good idea to add some lime to your soil too. Although it can be grown from seed, the easiest way to grow asparagus is to grow it from asparagus crowns. Asparagus crowns are dormant plants which are already one year old so give you a handy head start with a root structure ready to plant. These should be planted in spring, around March/April time. In your prepared soil, dig a long straight trench 30cm wide and 20cm deep. Add a layer of organic matter to the bottom of the trench around 5-7cm deep them add the excavated soil back in to create a long ridge along the trench. Lay each asparagus crown on the ridge so that the roots are draped down at either side. Leave 45cm between each crown. Cover the asparagus plants with 7cm of soil and gently press it down until it is firm. Water the soil well after planting. Asparagus isn’t too demanding but it will appreciate a bit of TLC whilst it is growing. In the spring, help your asparagus along with some general purpose fertiliser. Asparagus only has shallow roots so during the summer water your asparagus so that it doesn’t dry out. In autumn, cut back any yellowing foliage. Now is also a good time to add a layer of organic matter as a mulch ready to keep your asparagus warm and protected during the winter. It is important to weed around your asparagus beds throughout the year. As they only have shallow roots it is best to avoid using a garden hoe as this can damage the roots. Weed asparagus beds by hand. 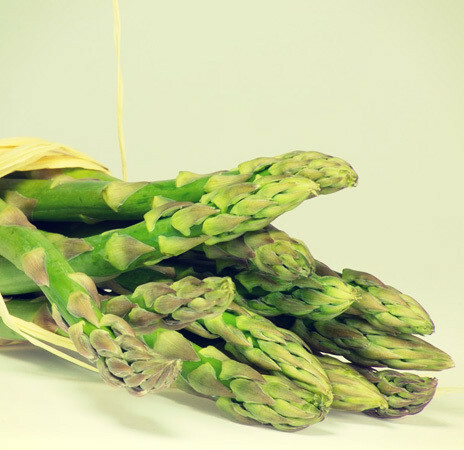 The harvesting season for asparagus is around mid-April to June, and your asparagus will be ready to harvest in its third year. A small crop will probably appear in the second year but avoid harvesting in the first two years while the crop establishes. Asparagus spears should have reached around 15cm tall when they are ready to harvest. Harvest asparagus by cutting the spears around 2cm below the soil surface. 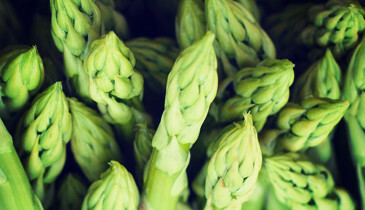 Harvest the spears using a sharp knife or a special asparagus knife. During the harvesting season asparagus grows rapidly so check your crop everyday as it may need harvesting every two to three days. All that’s left to do now is to enjoy all your hard work and efforts! Start wrapping with your Parma ham or get an asparagus soup on the go, it will taste much nicer knowing that it has come from your very own garden! Once your crop has got off to a good start, if it is looked after well it will produce a crop every year for up to twenty years so let’s hope that you like it!